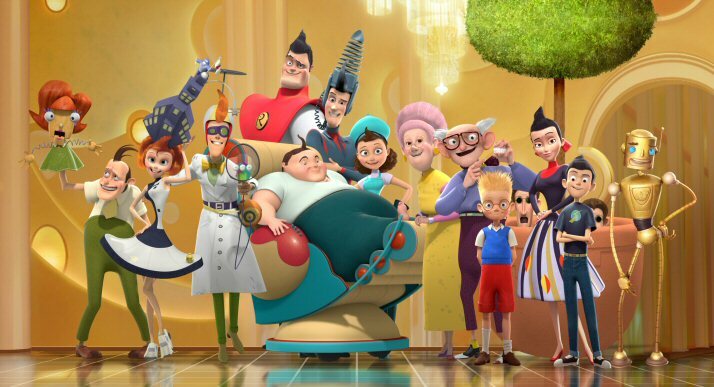 Cartoon Country: Meet the Robinsons, Act 2 | TWINSANITY! 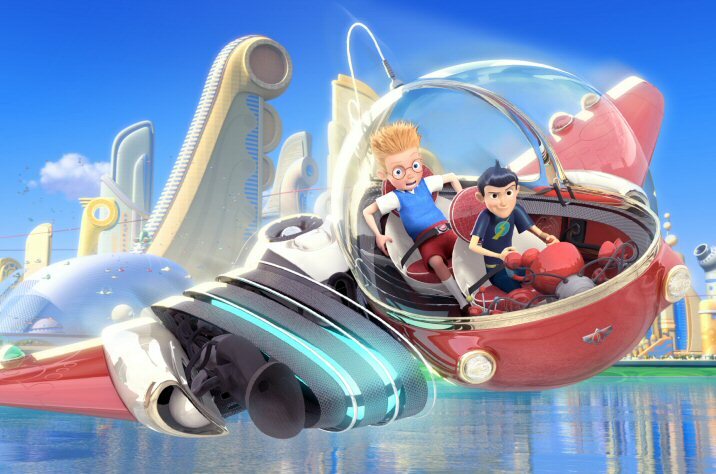 Today Cartoon Country looks at Disney’s Meet the Robinsons (a very underrated film in my opinion), specifically the movie’s second act, where junior time traveler Wilbur Robinson takes boy inventor Lewis to the distant year 2037, where he meets Wilbur’s kooky family and is flung headlong into wacky antics. Several folks I’ve talked to think that act 2 of the movie dragged a bit, but personally it was one of my favorite parts of the movie. It was one of the few times that Disney has attempted Looney Tunes style humor and it went off effectively. Casa Del Robinson, complete with gold-plated robot servant! Incidentally, act 2 of the movie is the scene which most closely resembles the children’s book ‘A Day with Wilbur Robinson’, which the movie was loosely based on. In it, a boy (Lewis) visits an unusual family and their home. While spending the day in his best friend Wilbur Robinson’s household, Lewis joins in the search for Grandfather Robinson’s missing false teeth and meets one wacky relative after another. There’s no time-travel or sci-fi elements in the book, just searching for teeth and wackiness. The Robinson clan is a unique bunch to be sure, and there are a LOT of relatives present, who flit by quickly, so it’s admittedly hard to keep track of them all. 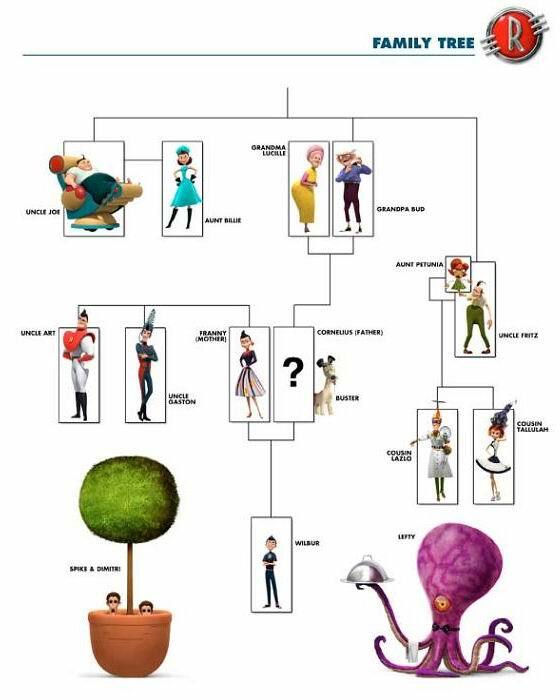 I can’t not love a family who employs a purple octopus as a butler. Heck, I’ll just let Lewis himself count them off. Just don’t ask about the hat. Just have the family adopt an alien kid. It’s the future, after all. 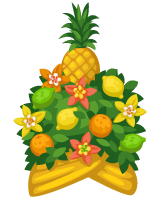 I’d definitely watch a cartoon like this, as long as the fruit hat stays in the picture. Fruit hats are just naturally funny. 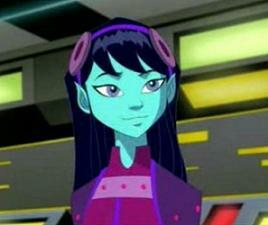 ← Talkin’ Nerdy: How Deep Are Polly’s Pockets? So, live-action actors exist in this universe? Does that mean famous people like Tom Hanks, Peter Lorre, and Frank Langella just walk around looking like every day people, and no one gets freaked out by it? Is every actor in this world live-action, while average normal people are animated? Now my head hurts! 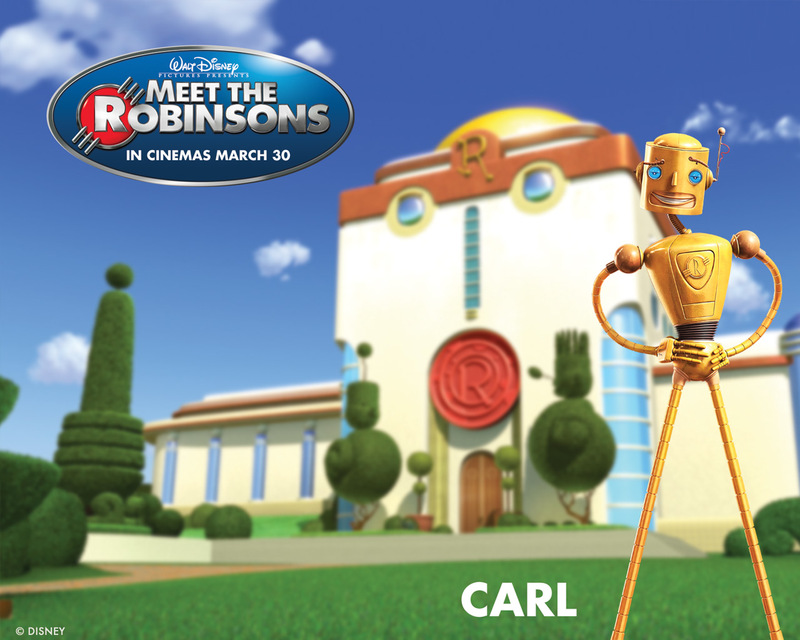 Anyway, nice to see someone else remembers Meet the Robinsons. It’s not my favorite Disney movie, but there were some pretty good moments in it, and it’s a shame even Disney has forgotten about it. In any case, I agree about “Meet the Robinsons”. It was an underrated movie and among the few times that Disney attempted Looney Tunes style humor and succeeded.